“We recently engaged the team at Curious to update our website including the addition of an online shop; The task was no mean feat given the large and diverse range of products and services we offer. Curious however rose to challenge, updating the site to our specific requirements, providing really useful advice and tips along the way. 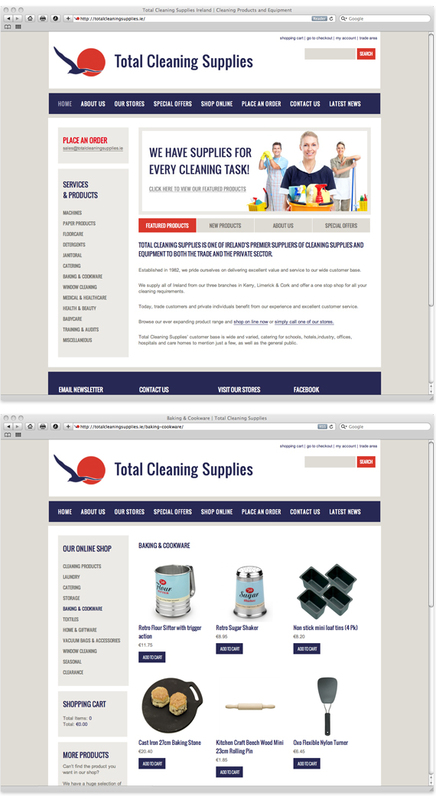 We designed and built the new Total Cleaning Supplies website to showcase their huge range of products and services and to make this range available to purchase online. The new site is clean, modern and easy to navigate and is simple to maintain and update.